Looking at how the founding fathers are portrayed in Hamilton! is interesting, both to students and historical scholars alike. There is no doubt that the music and lyrics truly bring historical figures such as George Washington, Thomas Jefferson, James Madison, Aaron Burr and of course, Hamilton himself to life in a way history books never could. What is also interesting is the alliances that are portrayed within these political partnerships; for if Burr and Hamilton are “frenemies" whose fate ultimately lies in each other’s hands, then the other players in the “room where it happens" all have a role in influencing and motivating these two characters. If we look at the relationship between Hamilton and Washington in the musical, we see very much a father/son, teacher/student relationship. 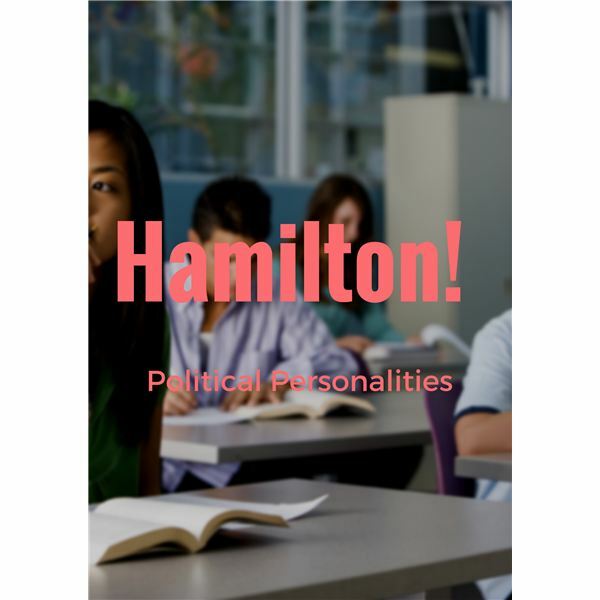 Washington is quick to scold Hamilton at times, but also tries to teach him, to shape his character and at times, relies on Hamilton’s own insights. Burr, Jefferson and Madison, each of whom has a reason to dislike Hamilton, often feed on each other’s political fears and/or ambitions in order to push each other to take down Hamilton, whom they view as Washington’s “patsy." Lyrically and musically, this presents an interesting course of study. If we look at the music and lyrics of One Last Time and Washington on Your Side, both songs that do not feature the heavy rap lyrics of other tunes, we see these relationships deeply characterized. Hamilton is always fired up and ready to go, and Washington calms him, even as he contemplates changes in his own life. Burr, Jefferson and Madison, each moderately riled up, each voicing grievances, finally reach the pitch of actually plotting to launch Hamilton’s downfall. Finally, examining the lyrics of We Know highlights just how far the three will go, and that Hamilton has yet to learn the lessons Washington strove to teach him; instead losing his cool and releasing the contents of his affair with Reynolds. For English and History students, a compare and contrast paper of the three lyrics/musical numbers and how the tone of each key character is presented in the songs is a challenging and rewarding assignment. Download the lyrics to the songs here and set your class to the task!